And, the debate over mammography continues. This time, it’s the American Cancer Society causing a stir. The organization revised their recommended breast cancer screening guidelines and it’s already causing some dissention. ACS said the updated guidelines provide evidence-based recommendations for breast cancer screening for women at average risk of breast cancer. Details are in the Oct. 20 Journal of the American Medical Association. What does this mean for most women? The ACS strongly recommends that women with an average risk of breast cancer should undergo regular screening mammogram starting at age 45. (The old recommendation was to begin screening around age 40). Women should have the opportunity to begin annual screening between the ages of 40 and 44 years (i.e., if her clinician thinks she should). Women aged 45 to 54 years should be screened annually. Women should continue screening mammography as long as their overall health is good and they have a life expectancy of 10 years or longer. Previously, most women stopped screening around age 74. Breast cancer is the most common cancer in women worldwide. In the United States, an estimated 231, 840 women will be diagnosed with breast cancer in 2015, according to the ACS report. Breast cancer continues to rank second, after lung cancer, as a cause of cancer death in women in the United States, and it is a leading cause of premature mortality for women. In 2012, deaths from breast cancer accounted for 783, 000 years of potential life lost and an average of 19 years of life lost per death. Even though mortality from breast cancer has declined steadily since 1990, largely due to improvements in early detection and treatment, it’s estimated that more than 40,000 women in the United States will die of breast cancer in 2015. The last ACS screening update was published in 2003. This revised approach now aligns more closely with that of the U.S. Preventive Services Task Force. The USPSTF guidelines were considered controversial when issued in 2009, and conflicted with the previous ACS recommendations. “If having to return for more screening after a mammogram is going to upset you, you might want to start at 45. If missing a growing cancer would upset you more, you might want to stick with recommendation to begin screening at 40,” said breast cancer survivor JoAnn Pushkin. Pushkin is Executive Director at DenseBreast-info, Inc., and cofounder of D.E.N.S.E. (Density Education National Survivors’ Effort), a national grassroots effort to raise awareness about breast density, and its inherent cancer risk. saved by screening beginning at age 40. Major American medical organizations with expertise in breast health such as the American Congress of Obstetricians and Gynecologists (ACOG), American College of Radiology, and Society of Breast Imaging recommend that women start getting annual mammograms at age 40. What about women who may be at higher risk? What it really comes down to is that every woman needs to talk with her health care provider. 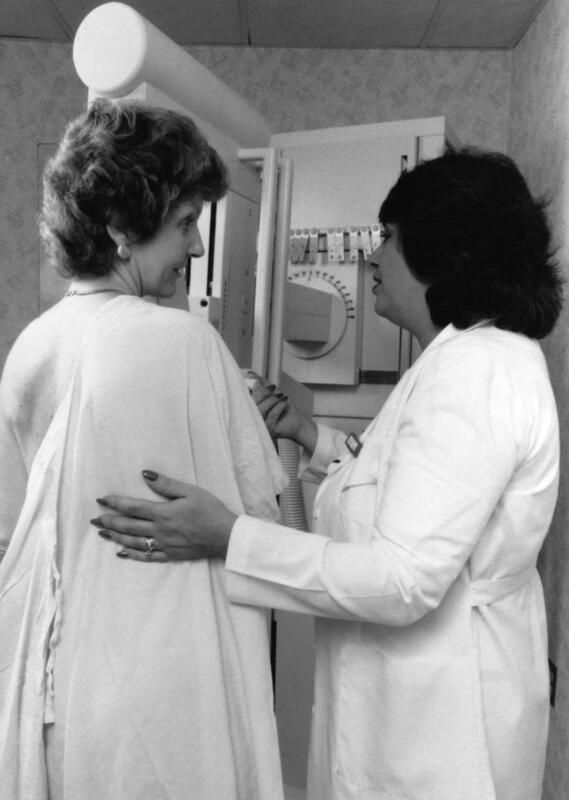 Mammography and additional screening is an individual decision — based on health status, risk, breast density, family history, comfort with exposure to radiation and many other factors. The idea is to make the most informed decision possible — what’s right for you may not be right for your best friend, your sister, or your neighbor. I lost a friend to breast cancer last week. She was 53. She got regular screenings, found the cancer early, and went through rounds of chemo, all the side effects, and brief remission. Then the cancer returned, with a vengeance. It migrated to her bones, liver and brain. Would earlier and more frequent screening have saved her? Probably not. But finding it early perhaps gave her a little more time with her daughter, who is only just turning 13. When screening guidelines or treatment protocols change, there’s inevitably a period of confusion and controversy. Guidelines are developed based on current scientific evidence and best practices. They may change again. They probably will. These are recommendations. If you’re concerned, confused or unsure, pick up the phone and have a conversation with your health care provider. Do what’s appropriate for you.